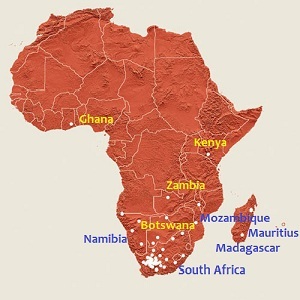 South Africa – home to “The Greatest Know on Earth” ? 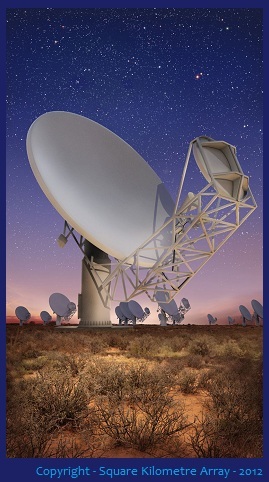 Far from being the greatest science experiment this planet has ever known, the Square Kilometre Array (SKA) will have incredible social and economic benefits for us all. We understand there will be some major, future benefits that will derive from probing the 95% of our universe (and its matter) that we currently know nothing about, but we can’t quantify such unknowns. However, we can start to grasp the massive range of collateral benefits by understanding the sheer magnitude of the SKA infrastructure development. The unimaginable amount of SKA content aggregation has completely blown my mind. When the SKA goes ‘live’ in 2024, the amount of data needing to be processed, stored and transmitted worldwide will be ten times our current internet traffic volumes. Over the next four decades, this will again increase tenfold. In simple, comparative terms, it will initially process 80 000 novels, per second. Forty years later, it will deliver Facebook’s total user gallery of about ten billion images – each and every second! Such traffic volumes will drive down regional bandwidth pricing quite substantially. This content handling requires far more than simply “super” computing. 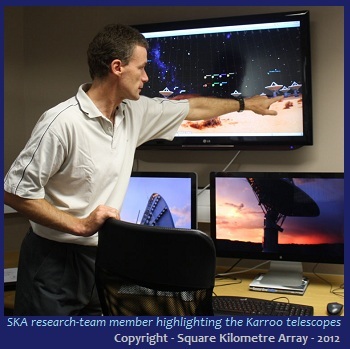 The Cape Town research team has already designed and developed a computer board for SKA that’s currently used in over 300 high-end computing centres worldwide. These new material compounds and engineering processes are leading to smarter, faster and cheaper componentry that will positively impact on pricing and capabilities of every future computing device used globally in our daily lives. Radio signal handling and processing will be revolutionized and far more will be achieved to optimize bandwidth utilization, with less impedance, and much greater signal amplification. Future benefits for international mobile phone users alone are quite awesome. Every day radio broadcasts will reach more people, at greater distances, with cheaper hardware. The demands for stable, cost-efficient, high usage power generation will impact on our world-class solar energy research and development. This will open up many new vistas for truly “empowering” rural Africa, and beyond, via renewable energy sources. If the Fifa 2010 World Cup actually created any kind of legacy here, it will be utterly dwarfed by the SKA project’s legacy. Not only can South Africa boast about hosting the “cradle of humankind”, but, perhaps, the “cradle of human knowledge”. Since we host the primary SKA hub, methinks we should now promote South Africa as being home to “The Greatest Know on Earth”?